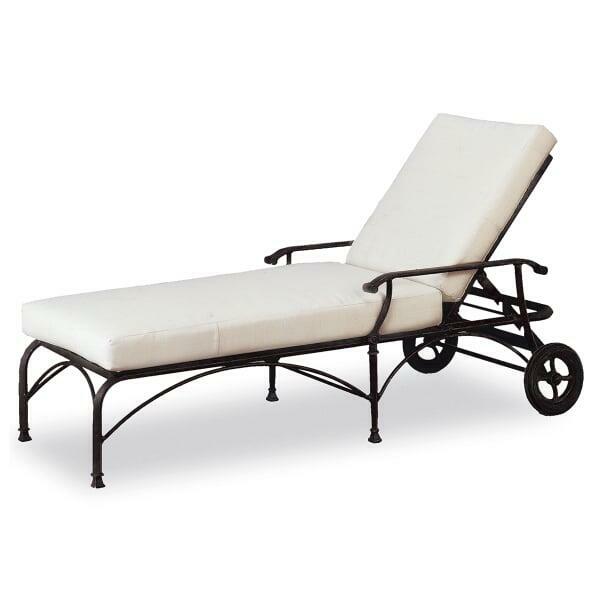 The Monte Cristo Chaise Lounge is fashioned in the same likeness as other Monte Cristo furniture. It features decorative legs, curved armrests, squared backrest and a patterned seat. The seat is covered with a head-to-toe cushion that is plush and all-weather. The cushion is covered fully by the all-weather fabric of your choosing. Both the fabric and frame finish are customizable by you, and Cast Classics offers a huge selection of each. The lounge chair is outfitted with two locking wheels for easy transportation and storage. The seatback is adjustable, and can sit straight up for daytime reading and lay completely flat for nighttime star-gazing. Let Cast Classics help you to find new functionality in your outdoor living spaces! Dimension 71.1" W x 34.4" D x 42.3"